79-card deck and 192-page book. When life seems to be full of doubt and uncertainty we tend to look for a source of inspiration: what will happen in the future? What about my health, the children? What will happen if I make this decision and not that one? This is how the traditional tarot is often used, to satisfy a longing to know about the past and future. This Osho Zen Tarot focuses instead on gaining an understanding of the here and now. It is a system based on the wisdom of Zen, a wisdom that says events in the outer world simply reflect in the outer world simply reflect our own thoughts and feelings, even though we ourselves might be unclear about what those thoughts and feelings are. So it helps us to turn our attention away from outside events so we can find a new clarity of understanding in our innermost hearts. The conditions and states of mind portrayed by the contemporary images on the cards are all shown as being essentially transitional and transformative. The text in the accompanying book helps to interpret and understand the images in the simple, straightforward and down to earth language of Zen. The traditional Tarot is often used to satisfy a longing to know about the past and future. 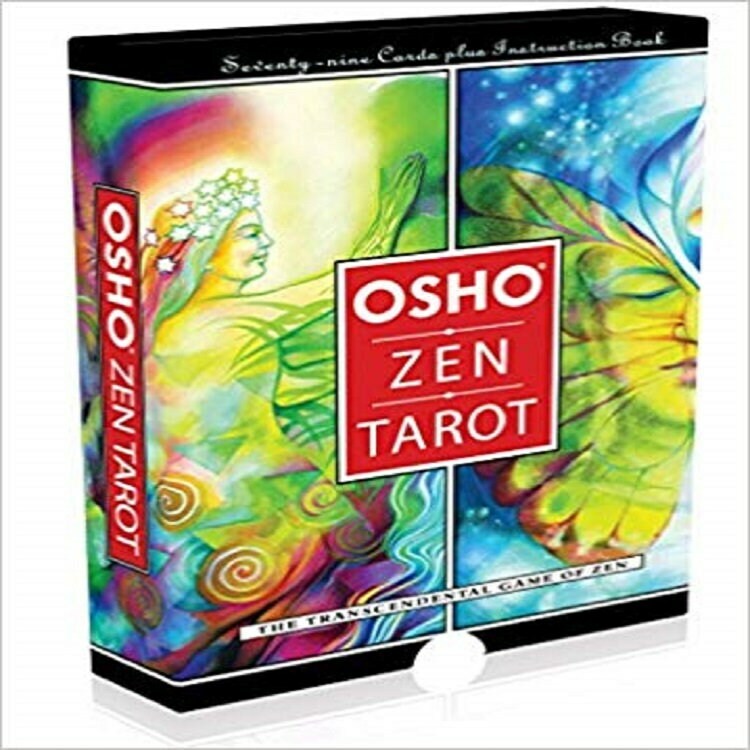 The Osho Zen Tarot instead focuses on gaining an understanding of the here and now. It is a system based on the wisdom of Zen, a wisdom that says events in the outer world simply reflect our own thoughts and feelings, even though we ourselves may be unclear about what those thoughts and feelings are. We are helped to turn our attention away from outside events in order to find a new clarity of understanding about what is happening in our own hearts. Contains a 79 card full-color deck plus instruction book. This man is using Etsy to sell for Amazon. My package came from Amazon. And to top it all off he changes me seven dollars more than the invoice from Amazon that came in my Amazon box. His answer to me was he uses Amazons warehouse. Are you kidding me.